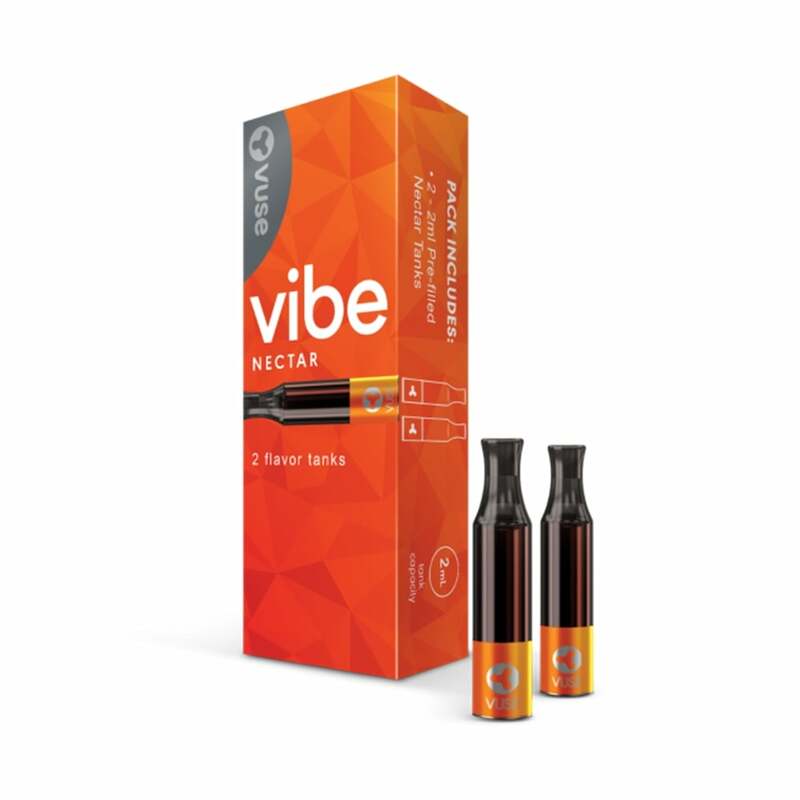 This is the nectar flavor in a pre-filled tank by Vuse, designed for use with their Vuse Vibe Kit. This two-pack of pre-filled Nectar tanks contain a rich and powerful summer fruits e-liquid. The Nectar flavor incorporates exotic fruits in a perfect blend. The Vibe is a new sleek e-cigarette kit design by Vuse that uses an easy screw-on system to swap out pre-filled Vibe tanks that come in a range of flavors, including this tempting Nectar option. I really like the flavor. It has a Ginuwine tobacco flavor with a fruity flavor added. Awesome flavor, along with the melon...but I think I like this one a smidgen more. If it weren't for these two flavors, I'd be looking for a different product. Electronic Tobacconist also gets 5-stars from me, thanks for the prompt delivery, 2-3 days prior to what was forecasted when I checked-out. I use these tanks because they are longer lasting and have great flavors. Lost me as a customer. Stopped putting the vibe out then raised the price of the Ciro tank's. I moved on to the Njoy products great device and excellent flavors. Keep your VUSE VIBE. go on WEB , check out how to refill. this tank can be refilled with juice!! then buy some fruit flavors from Electric Tobacconist! fast delivery, low prices and your set! I haven't found a good replacement yet. Solo is horrible. Pod doesn't last more than a day. If that. Exact same product I buy at the gas station but for 8.00 less! Fast shipping, discounts when I purchase 8 or more! I save a couple hundred a month when I plan ahead and order from Electronic Tobaccionist! Best refilled tanks. I hope the recall gets squared away. I quest I need to call? Love Vuse Vibe and love this flavor! Good price and fast shipping! I’ve tried all the flavors and his is my favorite. It’s very smooth with a little kick at the end.